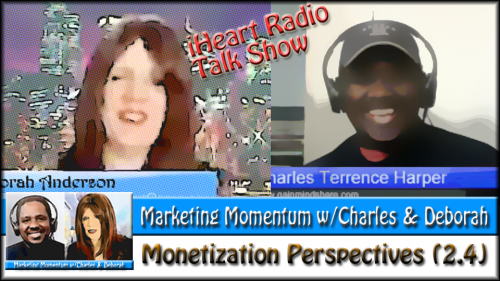 In this episode of Marketing Momentum, Charles and Deborah, again joined by Wade Harman, discuss topics that include Vimeo Pro; using Twitter to gain business leads; and event monetization perspectives. Come share in the fun. 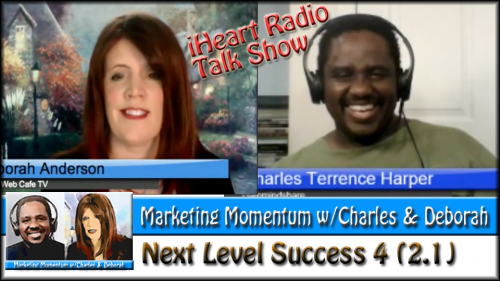 During this fourth of the six Next Level Success Social Commentaries, Charles, Deborah, and Wade chat about live streaming (including hangouts), as well as bloggers’ use of videos. 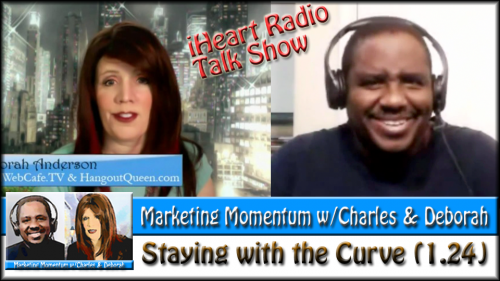 Join in on the conversation on this episode of Marketing Momentum. 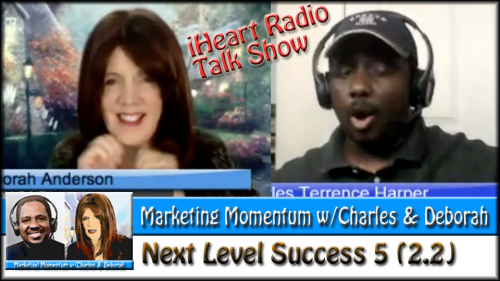 In this third of six Next Level Success Social Commentaries, Charles, Deborah, and Wade chat about Google Helpouts. Deborah was one of those invited by Google to be a part of the official launch, with a Helpout on how to do hangouts. 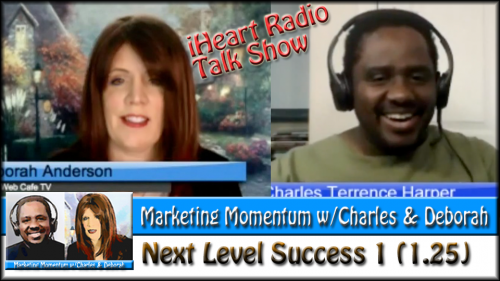 Join in on the conversation on this episode of Marketing Momentum. 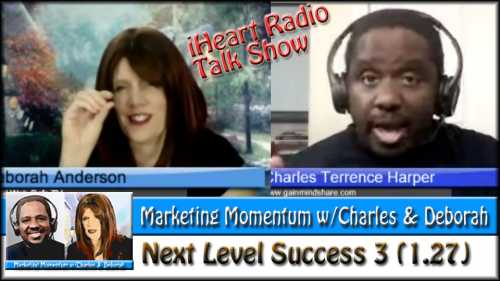 Charles and Deborah are joined by Wade Harman in what is called the “Next Level Success” Social Commentary series. This is the second of six of these commentaries. This episode covers using Twitter effectively, Instagram videos, and hashtags in social media. 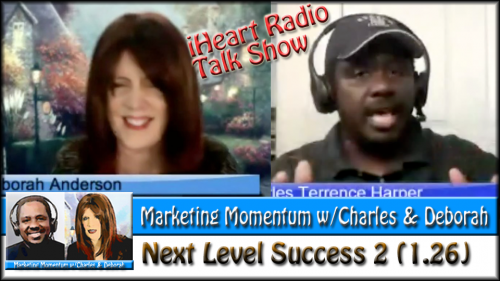 Charles and Deborah are joined by Wade Harman in what is called the “Next Level Success” Social Commentary series. This is the first of six of these commentaries. This episode covers discussions on mobile-ready sites and apps, as well as Kindle publishing, music, and watching zit-popping videos on YouTube. How do you keep up your game when it comes to video and, specifically, YouTube? One way is to subscribe to the YouTube Video Creator Channel. 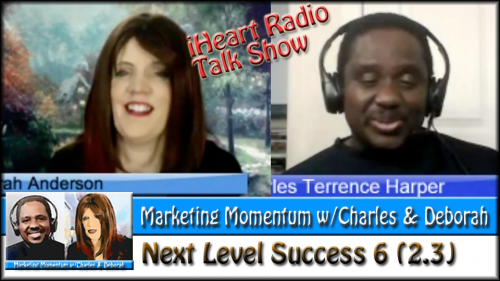 Charles and Deborah talk about this channel and also some insights on changes in the industry and ensuring that you keep on track with your own marketing efforts.